I have put down a few things that I have learnt on trading over the past few years in a my trading ebook which you can download for FREE by submitting your email address below. 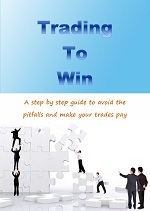 The information in the ebook relates to the FTSE 100, Dax, S&P 500, ASX200. However, the principles and techniques apply across a range of trading markets. I welcome any feedback (good or bad) on what you think about the book. Its also available on Kindles via the Amazon Kindle store.